OOC- This is an open thread for the Crystal Faire Event. You may have up two characters involved. Soarin' sighed with a heavy-lidded look about him as he took a sip of some fine Crystal Empire juice. True, not really his preferred drink but there was a time and a place for that and it wasn't in the middle of the Crystal Faire. He'd have to make do with the juices and other drinks more acceptable on a larger scale as he looked out at the growing crowd of Faire goers. This wasn't a bad gig in the slightest and he thanked his lucky stars that the drawing went as well as it did. He was always on the short end of these deals so to have it all turn around just this once was absolutely fantastic, a real salve for the soul and a nice break from his usual routine. Let some of the rookies and those who needed the glory do the shows this week. Beyond checking up with the Empire's weather teams in an informal manner, this was a vacation. And what a vacation it was. The Crystal Faire was unofficially the one period a year that a Wonderbolt could be guaranteed to have time off. Of course other events could intrude and force some free time upon the demands of the members of the group at other times, but for most of them most of the time you had a day off here and there, not a full week. The Crystal Faire lottery was it. Win it and you got to travel to the Empire and check up with some weather teams, enjoy the Faire, check up again, and leave. A full week. Heck, as much as he loved the Faire it was the days before and after that sold it to him. Relaxation in a beautiful land. What could be better? The weather reports were a little strange. A storm front coming in from the northern seas was not obeying the will of the local weather teams, but it appeared to be just a light wind storm. No rain or other serious weather was expected, Oddly enough they couldn't penetrate deep into the storm but it was considered a low-priority issue. They'd get it under control and the weather team leader would stop sending these apologetic missives to the vacationing wonderbolt. One currently served as a napkin that he used to dabble the small line of juice that perculited down his cheek. “Oh yes, I'll have another,” Soaring responded politely to an overeager waitress, who bounded away to go and get more. He was in the main throughway of the Faire, the jousting matche not too far away and the petting zoo close by as well. An embarassment of riches and all he could do was lean back into a crystal building, relaxed and looking out into the growing crowd. Yes, it was fun, busy, and most of all...no show! A storm brewing from the frigid north during the Crystal Faire was a dark omen. Both Advanced Auspice and Auguries and Preternatural Portents for Ponykind said so, and Orphic Mystery's lauded Guide to all Things Unknowable at least inferred it. It was plain for anyone to see it if they looked, but most ponies it seemed were blind to such things. All of them were so very simple, living their ordinary lives never questioning anything or looking past the covering veil to the true mysteries of the universe. Not being like everypony else happened to be Tourmaline Glass' speciality. To them she was just a child--a silly little filly not to be taken seriously, but she knew the truth. They were the silly ones. The truth was all plain to see in the books she read. It was especially clear come Crystal Faire time. Sombra had come to them, deposed their empress conquered their kingdom made them all slaves and then ripped their entire great city from the fabric of existence for a full millennium and yet somethow the adults around her could come the Crystal Faire and feel contented with themselves just by watching some colorful sheep bounce u and down. It was an entirely ludicrous and baffling thing to the filly. She had no time for any of it. She had done well to get away from her parents and sister as quickly as she could and was now just ambling about the main thoroughfare, one eye on the occult book written by Orphic Mystery and another eye on the clouds in the sky. As was the case with most young filly's who have their eyes somewhere else than what's in front of them it wasn't very long before the black-coated, orange-maned crystal filly found herself bumping right into another pony in the crowd. This place was amazing! A giant party was going down and there were lots of things that appeared to be made of crystal, making them all sparkly in the sunlight. Flux bounced happily down the street, taking in the excitement and happiness around her. The changeling mare loved things like this, parties and other such fun stuff. It was always a good place to meet new friends, or have fun with old ones. She was currently in her typical purple unicorn disguise, wearing nothing in the way of clothing besides her saddlebags. She beamed at the funny little bouncing sheep, and stole a glance over at the jousting match. It all looked so fun, she didn't know where to start! She didn't even notice the filly coming towards her until the two had collided, causing Flux to stumble and do a somersault, ending up on her chest on the other side of the filly that had hit her legs mid-bounce. She blinked a couple times in confusion, still not quite sure what had happened, then looked behind her to see the filly. "Oh, sorry! Didn't see you there!" Flux said, helping the filly to her feet with a bit of magic before getting up herself and turning towards the filly. "My name's Flux, by the way, nice to meet ya!" She chirped, holding out a hoof for the filly to shake while she smiled broadly at the young pony. The petting zoo was looking even more lively than usual as an excited looking griffoness stared at the multitude of young ponies petting her. The black feathered hybrid had a white tiger striped form and rose colored eyes that were wide with all of the positive attention she was receiving. She wore a vest that labelled all the rules for petting her, the most important ones being no tugging or hitting, something that many of the young foals didn't quite understand as they squealed with delight while petting her huge wings and fluffy chest feathers. Aquaria heard the delighted squeals of kitty and birdy from the children as she looked over the equally strange crystal ponies that were jostling her for petting rights. The young lifeguard had been urged by her friends and family to go to a place that wasn't a giant ocean, and after reluctantly agreeing to, found herself on a train to the crystal empire! Shortly after arriving, Aquaria met some giant crystal griffons that were actually just statues. At the urging of an event organizer, she agreed to be a member of the petting zoo. She had never seen crystal ponies before, but their strange glimmering appearance made her squirm with excitement as she wondered how it felt to be a crystal thing. Aquaria remembered the organizer scolding her not to hug anyone without their permission, and the young flyer poofed her cheeks out in disappointment as she could only playfully interact with those around her. She was completely unaware of the approaching foul weather, not that she really ever had any control over it as a griffon anyway. Her current mission and job was to find as many fun ponies to play with as she could before the party ended! Upon crashing into the unicorn mare, Tourmaline dropped to the ground, her book leaving her hoof. She shook her head rapidly at the collision and was then readily lifted back upwards with magic by the one she had run into. Something felt strangely off though. The purple unicorn mare's magic felt somehow strange to her. Now, aside from Sombra's own displays of power, Tourmaline had not in her life really seen too much magic in person... but she had met a fair number of unicorns since the empire's return, read about magic in her books and even gone to a magic camp. Though she herself was a crystal pony and thus incapable of unicorn magic, it had always been a fascination of hers, so she definitely knew how it should look and feel. "Your magic is strange..." said Tourmaline, "It feels strangely different than typical unicorn magic... Bleak and cold, unlike that which comes from the heart of a pony..."
The filly's eyes went back to the Guide to the Unknowable which had left her hoof in the collision. It recalled to her her previous thinking about the clouds and the omens. Perhaps it was all foretelling the arrival of this strange traveller. Tourmaline nodded and grabbed the book back up. "Are you perhaps a powerful and wicked sorceress, here to bring forth a new age of darkness to our Crystal Empre?" the filly asked, eyes wide as if strangely hopeful to see her morbid fantasy transpire. Flux tilted her head at the filly's words about her magic being different than a regular pony's. Well, that was the first time that had happened, her magic being called out as not the same as a pony's. What was so different about it? Flux stood where she was, her head still tilted to the side and one hoof still outstretched and waiting for the filly to shake it, as the filly looked at some sort of book. A sorceress? Flux let out a giggle at that, sitting on her haunches as she smiled at the filly. "No, I'm not a wicked sorceress... At least not that I know of... Hmm..." She said, putting a hoof on her chin as she looked at nothing in particular and hummed lightly. "Nope, don't think so. Anyways, wanna be friends? We can have so much fun together at this fair! Let's be friends," Flux had stood up, picking up the filly as well and spinning in place, turning the filly so they could look each other in the eye. She paused on one hoof, her front hooves holding the filly and her other back hoof in mid-step, as she realized she didn't know the filly's name. "Umm... What was your name?" For once in her short little life, Tripp Hardy was too dang awed by her surroundings to gripe much about being stuck at her momma's flank when she COULD have been out running loose and looking around. For weeks, the Crystal Faire had been all the earth pony filly could talk about, gabbing excitedly with her friends and driving her mother and several luckless train car passengers close to insanity with excited rambling and nonsense questions from the day of the announcement to their very first step onto authentic Crystal Empire soil, at which point Tripp had launched into a whole NEW level of eagerness than just riding her first train had already done. Everything here was just so different from Baltimare! Everything was just so...she wasn't one to normally approach within twenty miles of the word, but--everything was just so, so PRETTY! So many clear-cut lines and sparkles and glimmery things! Ponies you could nearly see through! (And just look at how the crystal mares and fillies did their manes and tails, so many ribbons and bands!) Animals that bounced around and sparkled like glass! Craft stalls and food and so many good smells! Although...could those crystal berries actually be eaten? Tripp did not hesitate to pose the question to her weary mother Berry Sunrise, disregarding that the mare had likely fallen into a weary state of half-tuning out the filly after so many OTHER questions. "Mom! Mom, mom, look at those, mom, they look just like crystals, are they really food? Are they really made of crystal? How do you eat them if you're not a crystal pony, do crystal ponies eat crystals? Do they eat crystals AND food, or just crystals, or just food? Mom, look at the houses, they're so shiny and pointy, why are they so pointy at the top, do they actually grow them out of crystals? Can we make our house like that? Oh WOW look is that the castle?! OH MY GOSH IT'S AMAZING WOOOOWWWWW." 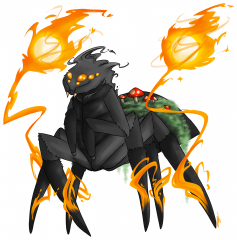 --and skidding to a dust-raising halt, belatedly registering the lack of shininess in this particularly creature. "Heeeyyyy, you're not crystal!" Tripp burst out, the tone of her voice almost sounding like she had been willfully tricked. Still, the movements of her body betrayed a powerful, eager curiosity as she circled around the white-striped griffonness, barely pausing to even glance at the instructions on her vest. "So how come you got into the crystal petting zoo if you're not sparkly like the others? Hey, have you seen any crystal griffons here?? Wow, those are some cool talons--hey, is it okay if I feel your talons?" Tripp asked brusquely, head jerking up to look the griffonness in the eye. Aquaria had been playing with children for what felt like hours of nonstop fun over the course of a few minutes. Her long striped tail had been tugged and contorted into every shape imaginable, but she could never be deterred! She was a lifeguard and a diver for a living, these chewy pully children could not douse her enthusiasm! As soon as she was given a brief reprieve from the current herd of children, a new one approached and interrogated the griffon about her presence. At the alert, Aquaria tensed up and sat down politely as if she had just met a drill sergeant. Maybe this kid was here to throw her out for not being crystal enough, or maybe she just wanted to say hi in an aggressive manner! Upon getting a good look at the pony, Aquaria gasped in awe, looking back at her equally crystal counterpart. "Surely she wasn't some sort of guard, a crystal empire would have members and guards that were crystal ponies. Could you imagine if the princess wasn't a crystal pony. That would be almost as silly as saying her husband was a unicorn or something," she thought to herself with a giggle, the griffoness having no knowledge at all about the crystal empire as her every thought was wrong! "I got to be in the petting zoo because some lady near the library saw me and was like, 'oh you are so fluffy. I like fluffy griffons. Ponies like fluffy things'. I was like, I get to play with a million ponies for free and I get to wear an awesome vest? Count me in," she explained with a giggle, using a stuffy old lady voice when she vaguely remarked on what her 'employer' asked. It was clear, at least to any sensible adult, that Aquaria never paid any attention to the minutiae of anything, but that didn't stop her from trying her best. At the mentioning of crystal griffons, Aquaria's eyes widened, her chest feathers poofing up as she showed a bit of excitement. "I saw two giant crystal griffons at the library earlier. They didn't move at all and never said anything to me. They must be super good guards, either that or they were statues. The tiger striped griffoness was of average griffon size, clearly larger than a full grown mare, but still comparable in size to a normal stallion. For her to call another griffon giant, it almost certainty had to be a statue of some sort, although that probably wasn't as fun as giant stoic griff guards. She had a penchant for making things more fun and interesting than they were supposed to be, but that was totally her right as an adult and citizen of Equestria! When the pony mentioned her talons, the griffon blinked and shook her heads to make sure that she had heard correctly. Most ponies shied away her sharp grabby grabbers, so it was unusual to see one that was actually interested in them! Her talons were a dark shade of black that was outside the norm of golden for her species, but still nothing too unusual for a member of her diverse species. 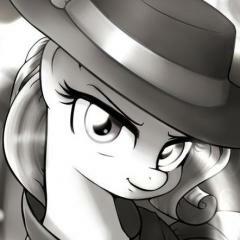 She stared back at the serious faced pony in an equally serious manner before cracking up and giggling lightly. Her hips squirmed as she raised one of her talons and presented it to the filly. The claw was smooth and heavy, the limb well worn from her immense amount of swimming. "Do you know what my talons are best at doing? They are the best grabby huggers in Equestria! Want to test them out? I don't think they are malfunctioning, although I dunno," she explained with a giggle, as she looked at her four digits proudly. At which point she had passed out. No one knew what it meant but Soarin' thought he had a pretty decent idea. It was snob for saying, “I'm really out of it oh Celestia why am I falling,” or perhaps it had some hidden deeper meaning. Maybe it meant perhaps their job was friendship but that at the scale they did it, the grinding schedule they chose, friendship was industrialized to the point that you became everypony's friend and yet you lacked that certain connection that came with the truest forms of friendship. For all intents and purposes he subscribed to the view that this was probably incorrect- and he didn't understand what the second part could mean- but it didn't mean he didn't love the opportunity to make some nice friends outside of his shows. And today was just the day to do so, and it was getting quite busy. Many choices to be had. One very excited kid, an equally excited Griffon, an excited unicorn, and a filly who dropped her book when she was picked up by said overly excited unicorn. Tourmaline sighed as she was lifted and spun by the weird unicorn. And here she had hoped she had run into someone special. Instead it seemed she had run into an adult far sillier even than most. She shook her head in disdain. "Unfortunate. 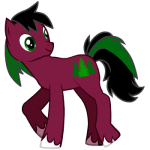 I had hoped fate would see me run into somepony different, somepony who is more than what they appear to be on the surface..."
"I am called Tourmaline Glass. Like the famed Orphic Mystery, I am an investigator of all things paranormal, searching the shadows for the mysteries overlooked by untrained eyes," Tourmaline said with a resolute nod, proud of her introduction. A bit of a stretch maybe, but it was better than saying she was just an over-read school filly. "And I'm not looking for friends, so you can put me down," Tourmaline ultimately added. Just then she felt a tap on her shoulder before her book was placed back in her hooves. She looked at the pony who had retrieved it, a pegasus stallion. She could respect his words, but not the fact that he had not read Orphic Mystery's work.Truly there was no pony more knowledgeable about the world of the occult. "Good? Of course it's good! It contains the overlooked truths, details of the world hidden beneath the surface gloss, all laid out with detail which only a master like Orphic Mystery could provide," Tourmaline informed the clueless pegasus with emphasis. Flux remained in her same position, aside from putting her other back leg back on the ground, as the filly spoke. She tilted her head to the side as she listened, most of the words going right over her head. She did catch the name, however. The mare frowned at the Tourmaline's last words, falling to sit on her haunches, the filly still in her arms. She just blinked a bit in confusion, even as a pegasus stallion returned the book to the filly. "But... Why not? Friends are good things to have, you know." Flux said, finally setting the young pony down, still frowning in confusion. Derecho the griffon had been visiting with his family in Stalliongrad when his brother Lyosha had mentioned the Crystal Empire's annual fair. The two had flown in together, but gone their separate ways once they reached the city. They would meet up later for dinner or drinks, probably both. No one could carouse at all hours like a Stalliongrad Griffon! He wandered among the booths, admiring the colorful crafts and tasty looking treats. The squeals of excited foals drew his attention towards the petting zoo. The leopard spotted griffon nearly tripped over his own talons when he saw what, or perhaps who, was part of the exhibit. A very pretty striped griffoness, with the loveliest eyes he had ever seen. She seemed a bit young, but that didn't stop him from approaching her with a smile on his beak. "Greetings, my little kitten! What is a lovely girl such as you doing in a place like this?" He asked her coyly. A few of the foals excitedly began to assault the newcomer, fondling his fluffy tail and rosette spotted haunches. "These children, they do not bother you with their pokings and proddings?" Derecho was used to youngsters, being a flight instructor, but they tended to be older and have a bit more respect for personal space. He mantled his wings, lifting them just out of reach to prevent anypony from tugging his feathers too hard. Red Cedar had been looking forward to this trip more than most of his vacations out of Stalliongrad. For one thing, it was going to be his first trip to the Crystal Empire since its return, and that reason alone promised wonderous sights to see. Not only that, but he was going to be there for the Crystal Faire, where rumour had it they still practiced jousting, exactly as they had a thousand years ago, thanks to their way of life having been so perfectly preserved as it was. To see that bit of history that had disappeared from Equestria itself brought back to life was exciting for him to think about. Most important of all, however, was that after several letters sent back and forth in planning, he was coming to the Crystal Empire with 'Spring Breeze' as well. That was going to make the whole trip that much better. So, after much travelling by train, first to Ponyville to meet up with 'Spring Breeze', then from there to the Crystal Empire, watching the arctic snow suddenly give way to lush, warm meadows, and then checking in to their hotel, Red found himself in awe of the entire shimmering city as much as the faire itself, looking almost like a foal himself in his wide-eyed amazement, trying to figure where the best place to start was. "Wow," he said, as much to himself as to 'Spring Breeze'. "This is incredible!" 'Spring Breeze', for her part, was entirely taken in by the city, staring bright-eyed at not just the attractions organized for the Faire but also the buildings themselves. Though she'd wandered to quite a few places over the course of her exile, and they all had their good points, none of those quite compared to the first impression of the great crystal city. From the lowliest house to the mightiest spire, everything was made out of gleaming, angular crystal. The end result was dazzling to the disguised changeling, having both vibrant colours and strong airs of order. Between the mineral building materials and the organization, it reminded her of her favorite parts of the hive as well as having a beauty all its own. It had taken some effort to get the trip organized, as it always did when 'Spring' and Red were involved. Coordinating when the lived it two distant places was always tricky especially given that 'Spring Breeze' lacked an official mailing address (not that it seemed to stop the mailmare. Odd one, her), but with just a little perseverence and a long ride on the train, here they were. 'Spring Breeze' had to admit she was a little nervous before their arrival, given her own history and that of the current ruler, but her concerns were replaced by excitement as the train pulled into the station. The nature of the place, combined with 'Spring Breeze's own natural curiosity was enough to wash away any concerns she had. Though this being her first real pleasure voyage with Red was a big help as well. She'd stepped off the train, took a breath of the local air, and looked around. She couldn't help a grin. As well as her own excitement, there was a certain infectious happiness about the place that she suspected was making her giddy, at least at Faire time. She also silently noted that this would be a great feeding ground, for the sheer abundance of positive emotion but also given that one could likely feed without causing harm or being noticed fairly easily. She filed that away for later though, as while it might be useful later that wasn't why she and Red were here today. After a quick stop at their hotel, they were ready for a romp around the city itself. She paused for a moment to nuzzle Red's cheek in a mostly silent show of affection and thanks, before allowing her excitement get the better of her. “I know, right? !” she said, before waving Red forward. “Come on! I hear they do jousting here, I've only ever read about that! I wanna go see!” She bounded forward with a laugh, intent on running down the street with only a vague idea where her destination was. Aquaria was doing her best not to step on any of the young foals as they excitedly swarmed around on her like a hive of bees. She had presented one of her dark claws to a curious filly when a new griffon entered the petting zoo. Her rose colored eyes looked over to Derecho as she tried to lift her one free talon to greet him. The young adult quickly realized that she had no other talons to lean on and sat back on her haunches, careful not to squish any of the rampant pony swarm. Luckily, the presence of the new 'kitty' split the attention of her brood, allowing her breathing room as some hopped off of her back and started climbing on him. Before she could speak, the striped hybrid presented her second talon to him, all 4 sharp digits out stretched. "You're the fourth griffon I've ever met," she cheered excitedly for him, her words hinting to the fact that she grew up with ponies and had never been to the griffon kingdom! After hearing the question about why she was there, the dark feathered flier giggled as she put together the first thoughts that could come to her! "I'm a member of the petting zoo. I even got a vest to prove it," she proudly chirped back, puffing out her fluffy chest as a young colt dangled from around her neck. The patient griffoness smirked as she carefully lowered her head and helped him escape the 'gigantic' fall. It was clear that she was really good with kids, not even flinching as a few of the younger ones gnawed on her striped tail. "I'm a lifeguard from Baltimare, I'm used to getting jostled by children. You would be surprised how much water a pony can cough up when you pull them out of the water," she joked in a semi-serious manner as her red orbs looked across to him. She loved kids, but most of all just liked people, pony, griffon or anything cute or cuddly. She wondered where he was and if he was also a member of the petting zoo. If she did a good job, maybe they would ask to promote her to full on zoo member! Granted she couldn't take the job, or that it wasn't exactly a thing allowed under the law, but silly things like logic and reason never stopped her wild imagination in the past, why would it stop her now? "I'm Aquaria, nice to meet you mister," she politely remarked for him while eagerly waiting for his introduction! Specialist Sugar Star could not believe her luck. As a show of friendship to the Crystal Empire, members throughout the ranks of the Royal Equestrian Army were given leave to make an appearance at the Crystal Faire and participate in the jousting. It was all being treated like official business, but the decision was one made with light hearts by higher-ups to allow those interested a visit to the crystalline city in a way that would strengthen the relationship between Equestria and the Empire. And of course, Sugar Star was one of those lucky ducks who had been given the opportunity to have a “vacation in armour” as some of her fellow specialists had been calling this. So Sugar found herself standing, awed, in the Crystal Empire, her eyes wide with wonder at the sight of glittering buildings, ponies, and animals. Everything was just so…so…pretty. It all had the same feel of one of her absolute favourite comics about a magical moon soldier-princess – there was a crystal city in that story! She was definitely going to be enjoying her week of vacation in armour, and no news of bad weather to the north would ruin that – not if Sugar Star had a say! Simply wandering about the streets of the Empire was a treat, and Sugar was thrilled to bits at how friendly every crystal pony she came across was. And of course she did her darnedest to give the best impression of the REA as she could manage. Her posture was neat, her demeanour friendly but not too revealing of her more eccentric side, and her armour was very well-polished. The image she worked so hard to cultivate was almost tarnished, however, the moment she caught sight of somepony she had never expected to casually run into during the Crystal Faire. The Soarin’ of the Wonderbolts was just a few paces in front of her, locked in pleasant conversation with a young crystal filly and a unicorn mare. She hadn’t noticed until she had nearly walked into the odd little gathering of ponies, but there he was: Soarin’. Sugar’s heart skipped a beat and she felt her knees weaken. He was just as handsome up close as she had expected – so fit, and with such muscular wings! He was a bit older, to be sure, but if anything that just added to the appeal! A chance encounter such as this hardly seemed real – it’s the sort of story designed by the great classics in her romance comics. The average girl has a chance encounter in the streets with a celebrity everypony else but her ss in love with and the two forge an unlikely yet unbreakable bond. And it was true that Sugar Star was never a huge fan of Soarin’ individually, just a fan of the Wonderbolts in general – as any fancy flyer in her right mind should be. So this was it – in this very moment, she was just like a character from her favourite stories! But still, she could hardly let a Wonderbolt see this silly side of her, especially while in uniform. So instead of chasing after her adorable dreams, Sugar kept her military composure and joined into the conversation naturally, since Soarin’ and the other two ponies lay directly in her path. She smiled pleasantly while her heart did secret somersaults beneath the golden plates of her armour and approached them. "Whooooaaaaaa." Tripp sat back on her haunches and brought both hooves up to touch, prod, and slightly turn the griffoness' clawfingers, wide-eyed with awe. Look how BIG these things were! Yeah, she'd always imagined griffon talons would be big and tough, but somehow she had REALLY underestimated how big they would be in person! And, and--holy cow, now she could go and brag to Chrome Spark and the others that she got to look at a griffon's claws up close! Well, sure, she was a friendly griffon--though were most griffons just weirdly friendly to begin with?--but still, how many other foals could brag about that?! "...oh, wait, grabby-huggers? I dunno, I'm not usually one for hugs, are you sure that--"
"Baltimare! That's where I'm from!" she burst out excitedly after hearing Aquaria give out her profession and location. "I haven't seen you before, at least not anywhere I've gone. Actually, that could just be because I'm not really allowed near water to begin with, but cool! Baltimare!" That was unexpected. Unexpected if not entirely unpleasant, anyway. Much better to deal with a slightly acidic but very non-touchy filly than the massive droves of foals who wanted to poke and prod him like a piece of meat. He loved kids piece by piece but the sum was significantly lesser than the parts. If only they weren't so proddy. The acidic nature of the filly wasn't as wonderful but you had to take the good with the bad. At least she was smart and had an academic interest! Soarin' loved showing fillies and colts all the possibilities inherent in the sky domain of the Wonderbolts but Soarin' loved seeing ponies with their snouts in books. While the book was certainly a bit weird, there wasn't much wrong with a bit of weirdness. In fact, life was made of the small eccentricities that made individuals as interesting as the world around them. Soarin' didn't take offense at the filly's quick retort, more than happy to indulge the little one in her self-importance. Foals were self-centered naturally anyway. “Well, that sounds very interesting. You looked very caught up in it when you had that little crash. What exactly were you reading about?” Soarin' asked, actually sitting down along with the unicorn. Now the filly had an attentive audience of three, as a pretty REA pony came by to talk with the enrapturing cold filly. REA here as well? Excellent. Soarin' had a great respect for the military. They protected all of Equestria for not nearly as much as they deserved. Soarin' made sure the Wonderbolts charged at a significant discount any show they did for the REA. He tipped his head politely to the mare, beckoning her to sit beside. Always show your appreciation for those who served, something to live by and something he did so easily. “Come by and sit down, ma'am. With all that armor I bet its been a tiring day Missus...?” Soarin' asked leadingly, charming using charm charm all the way to charm. The young griffoness seemed delighted to meet Derecho. "You're the fourth griffon I've ever met," she cheered excitedly. He fluffed his crest up with surprise. "Truly? I am honored to meet you, then, kitten. Where do you come from, that you have met only four griffons?" "I'm a lifeguard from Baltimare, I'm used to getting jostled by children." she responded. "Ah, Baltimare. I have never been, but I hear it is very nice city." Well, that certainly explained a few things. Most griffons never left their homelands of Aquellia. Some would venture into the pony cities for work, but not often. He did have a cousin in the Gallopocus Islands who made a living as a fisherman, but he was the only griffon Derecho knew of down there. "I'm Aquaria, nice to meet you mister," the griffoness prompted. "Ah! How rude of me. I am Derecho." He bowed awkwardly, trying not to bonk any of the excitable foals dancing around them. "I am from Stalliongrad, but I work in Cloudsdale as flight instructor. I teach young pegasus to fly like Wonderbolt!" He lifted one talon to point at Soarin', who was engaged in conversation with a few fillies nearby. "Many of them do not become Wonderbolts. They serve in the military instead," he went on, indicating the golden armored pegasus who had joined the Wonderbolt and the fillies. A fair number of his students did get accepted into the Wonderbolts Academy, but not all of them made it through with flying colors, so to say. But they did serve well as REA guards and scouts. And many went on to work in weather control, which was not a bad job to have either. Certain it was difficult, if the storm brewing to the north was any indication. This was the first pony Aquaria could remember meeting that thought her talons were the coolest thing ever. She had met a lot of ponies in her life so it was probably possible that she forgot, her memory not quite the greatest, the young adult having a short attention span. Before she could dwell too much on the awesomeness of her grabbers, the young pony excitedly declared that she was also from Baltimare! Aquaria struggled to maintain her excitement as another foal carefully inspected on of her broad wings with his hooves. "Wow, maybe we are sisters or something! Although I don't think so since my parents moved to Equestria only a little bit before I was born," she mused aloud, pondering if it was pure chance that she would meet an unknown neighbor so far from home. Ponies did seem to travel a lot so it was possible enough for her to accept, her long striped tail wagging with excitement. "I basically live in the water when I'm not at home. My mom suggested I go somewhere without water for once, and now I'm up here. It feels pretty weird not getting wet for so long. In regards to Baltimare though, the water is pretty cold and dangerous if you aren't careful. Maybe your parents will let you go to the beach and swim if there is a lifeguard on duty. I know a lot of lifeguards in Baltimare. Maybe even all of them, unless I don't know one I guess," she explained aloud with a giggle, clearly hedging after making a broad guess on her original statement. If you ever want to go, just ask me and I'll talk to your mom, uh. What was your name, I think I forgot it," she admitted with a giggle, never actually hearing it to begin with but just assuming that she was probably not paying very good attention. Derecho quickly reclaimed the attention of Aquaria as she tried to a pry a name out of the filly that had been inspecting her so thoroughly. She audibly gasped with delight at the mention of Staliongrad, the diver clearly never having been there. "I thought about going to Stalliongrad for the polarpony swim event there, but it seemed really cold. I would probably want aerial rescue training so I wouldn't have to swim and be a lifeguard there," she mused aloud, the clearly water loving hybrid having a vaguely defined limit on her love of the ocean. At the mention of Cloudsdale, Aquaria gasped even louder and put up one digit from the talon that the filly just finished fawning over. "You're the fifth griffon actually! Another one told me they worked in Cloudsdale too! Apparently that city floats on clouds or something. Isn't that cool," she mused aloud, the odd lifeguard not seeming to get out much as her words suggested she had never been there either! Aquaria nodded as she listened to his explanation for what he did for a living. She was probably as familiar with Soarin' as any disinterested earth pony, although her excited expression didn't quite relay that well. "Hi Mr. Soaring! Echo says you are a wonderful bolt! Be careful with the clouds, they look awfully bolty today," she mused aloud with a giggle, waving a black talon at him while hopefully not making too much of a fool of herself. "I thought about serving the military once but they are more interested in flying than swimming. So I just decided to be a lifeguard and a diver instead. I hear the military is pretty serious though, and I don't think I would have been a good fit anyway," she explained with a giggle as she made the understatement of the century. It was unclear how many griffons actually were in the REA at all, or if any actually wanted to. But it was pretty clear that Aquaria practically saw herself as a pony after living with them for her entire life! Dusty Skies sighed as she threw away the remnants of a crystal corn on the cob. She had expected it to taste different, but really it was like any corn on the cob... except shinier. The weather pony had been visiting with her parents in Canterlot when the news of the Crystal Faire spread across Equestria, and, her parents being the upscale types that they were hearing about an important party, simply had to go. And because Dusty just happened to be visiting at time, she was forced to tag along. Oh well. This didn't seem as boring as the Grand Galloping Gala. At least the food was normal, if not shiny. The mare's parents had already went off to talk to their friends, so Dusty found herself alone, wandering the Empire in search for something to do or somepony to talk to. Of course, she had a lot to look at. Dusty had never been to the Empire before, and found herself staring in awe at the pure shininess of it all. She wondered how the crystal ponies lived to see this every day, not to mention seeing themselves just as crystalline as everything else. ...Until they fell off, right by one of her many idols... Soarin. Dusty cursed her luck but thanked it at the same time. If she had been any closer, those goggles would've hit Soarin right on the head! But they were close enough for him to notice, and she had to go get them. She had paid good bits for those, anyways. But then, she realized how lucky she actually was. This was a chance to talk to Soarin, a Wonderbolt, one of the fastest fliers in all of Equestria. Maybe, just maybe, could she finally find out how to get into that group. Dusty grinned and flew down to him. "Oh my gosh, sorry about that Soarin!" she said embarrassingly as she retrieved the goggles from the ground. Tourmaline just glanced at the unicorn mare blankly as she continued to speak of making friends. "Please. Why should I deign to associate myself with ponies who don't understand anything? I'm perfectly fine with just myself and my books." About then another pony approached them. It was a pegasus mare in the armor of the Equestrian royal guard. Tourmaline, in a way admired guards. In their armor they evoked images of the knightly champions she found in the epic fantasies she read. This mare, however, hardly looked like some beleaguered armored soldier ripped from dire combat with the otherworldly demonic forces loyal to General Animus in the Untold Schism Saga. No, she was wide eyed and far too pretty and cheerful. It wasn't right at all. "Of course it's impressive," Tourmaline said flippantly. "There's not another pony alive who's done as much for the field of occult research as Orphic Mystery." At the question from the male pegasus, Tourmaline rolled her eyes a little and then sighed, knowing she was going to have to explain it to these simple-minded adults. "I was reading about clouds, as those ones on the northern horizon are curious.. Now, empire conditions within the Crystal Heart's reach are static, maintained by the Heart's magic, while the arctic lands outside of us are a wild zone, that is, a place on the map where different weather patterns occur naturally. Despite that, it is unusual for large and noticeable cloud formations to appear in plain view from the empire." "Now, shadows are born from clouds, which block the sun. Clouds, especially large clouds gathering in a nearby wild zone and drifting toward a location, thus can be taken as a sign of a coming darkness. If they are storm clouds, it's a darker omen, signalling chaos and strife. The direction might also be significant but I'm not sure how yet. I was trying to figure that out when I ran into her," she finished, pointing toward the unicorn. Flux frowned at the filly's response, looking around at the others as they continued talking about the book and such. There was a guard among the group now, as well as Soarin. Tourmaline's explanations were far too technical for the changeling, who kinda tuned out from the conversation and looked around the area. Well, she could go check out that petting zoo, that looked fun. It was about then that she caught sight of a familiar face, and she smiled widely. What was she doing here? Oh well, she was a friend and they could have fun together! She jumped up somewhere in the middle of Tourmaline's explanation as she bounced her way over to Spring Breeze, ending up in a sort of falling tackle-hug thing. "Spring! Hi!" She said happily, hugging her changeling friend. She hadn't noticed the stallion nearby until she released the hug, which lasted a couple seconds longer than it probably should have, and helped Spring back to her hooves. "Hiya, I'm Flux! What's your name?" She asked the stallion, smiling widely at him. When Soarin’ spoke, Sugar Star immediately felt her cheeks begin to colour and she cast her gaze to the side sheepishly. The unicorn had gotten up and rushed over to a friend of hers before Sugar could finish her introduction, which only turned her flushed cheeks a slightly deeper shade of pink. Despite how well she maintained the posture of a soldier, her tendency to blush easily always betrayed the softer sides of her personality. She could only hope that she didn’t look too foolish to the others: the last thing the winged mare wanted was to make a fool of herself in front of a Wonderbolt: it was any fancy flier’s worst nightmare, she was sure! Luckily another pegasus mare’s entrance to the scene completely distracted Sugar Star from her self-deprecating thoughts. The armoured pegasus smiled and nodded a hello to the newcomer with a friendly expression, her blush mostly faded away. Now this was interesting. A pretty young flier nearly drops something on somepony she clearly looks up too, forcing yet another chance encounter? Now this was a story – a much more exciting beginning to a romance! Sugar’s thoughts almost ran away with ideas of how the mare with the blue streak in her hair would capture her handsome idol’s heart – almost. Before she could get anywhere the young crystal filly was speaking again, explaining to the three pegasi what she had been reading about. And so Sugar Star stomped out any thought that Swirly was bonkers and decided it would be more fun to entertain her instead! Sugar finished her little speech with a very casual salute and a smile. Clearly the filly was undertaking a task she felt to be of the upmost importance, and whether or not the pegasus believed the young one to be a little kooky she had no problem playing along. After all, Sugar Star always had fun with kids(probably because she was still very much one at heart), even the grumpy ones! "I hear tell thar's a Pettin' Zoo round here!" Haywire shouted as the rust colored Earth filly dashed into the Crystal Faire area. Swiftly galloping past all of the other stands and attractions, the blonde blank flank filly soon found what she was looking for. "Here it is! The Pettin' Zoo! I wonder if they got any crystal critters in here like rabbits and frogs? Love ta git me a crystal frog ta take back home with me, er maybe a crystal snake!" As Haywire looked upward towards the necks of the towering crystal giraffes, she saw the face of Aquaria looking down at her. "Hay thar, ma'am! Are ya in charge of this here place? Mah name's Haywire and I'd love ta see some crystal critters up front, with mah own two eyeballs."